A Break From Our Regularly Scheduled Program! Category: Behind the Scenes, Business/Product Reviews, Charity work, special promotions, what's going on this month? Around this time every month I try to do a small business feature/review. There are some amazing small businesses out there that I love and want to see thrive, so I share them with the world, and my wonderful clients here on the blog. This month, as it is my birth month and the month that contains Halloween (one of my favourite holidays) I was planning to feature Jack’d Clothing and Accessories. As I went to prepare to write this months blog business feature, I clicked on the Jack’D Facebook page link to the webpage…only to find that the site is down and the business is undergoing the transition to new owners. Wow, I will miss Debbie, she was Ah-Maz-Ing! I hope she’s off doing something new and exciting; she always did yearn for adventure! You can wait with me, and check out the new website when it goes live here. So change of plans, this blog post is going in a different direction today. Let’s go behind the scenes of my wonderfully full life and talk about National Novel Writing Month! Every year, in November, crazy people from all over the world join together to write a novel in one month. That is right: 50 000 words in 30 days. No writing experience needed, no editing, no self-criticizing, no rules! Just 1667 original words written everyday. Yes, there are tears shed when you plot goes sour, or a character wont do what they are told. Yes, there is a lot of sweating, and sometimes a little blood when you cut your finger on the stack of index cards that hold your brainstorms. But when you reach the end of those 50 000 words, you laugh with joy at the accomplishment. The seemingly impossible goal. It’s worth every minute of self-doubt, and writer’s block. This is my 3rd year of participating in NaNoWriMo, and my second year of volunteering to be a regional Municipal Liaison. My job as an ML is to host the fun stuff (parties, write-ins, and other social events), to be a shoulder to cry on when things get tough and your personal cheering squad all month long and beyond. Right now I’m prepping for the events, scouting out locations, gathering stuff to give you a boost when you need it, brainstorming the fun, and planning out my own NaNoWriMo 2015 novel. October is a crazy full month for me, but if it makes your NaNoWriMo experience worth repeating, it is so worth it. I highly recommend you give NaNoWriMo a try; even if you haven’t written anything since high school, even if you feel like you don’t have a creative bone in your body, even if you have no desire to ever be published. You can find me on the site as Lady Sapphire. I am the ML of Canada::British Columbia:: The Islands. 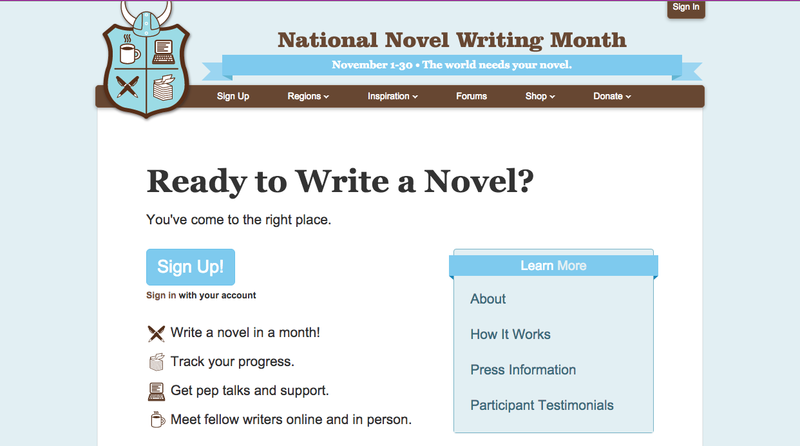 You can find more information or sign up to write your novel with us on the NaNoWriMo website here. If you aren’t interested at all in writing, but would love to support writers both young and old, you can head over to the donation page and give a little. This money helps run the non-profit behind NaNoWriMo and helps bring writing to young children through their Young Writers Program. All three of my daughters will be participating in the Young Writers Program this year. And hey, if you want to design your own photography experience to create your NaNo Novel 2015 book cover-I’m am all in! Contact me through one of the many ways below and let’s get creative together. I’d love to chat with you!